March for a Cure? Yes, MARCH FOR A CURE! 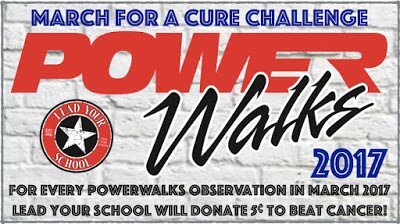 For every PowerWalks classroom observation conducted this month, LYS will donate 5¢ to the American Cancer Society. 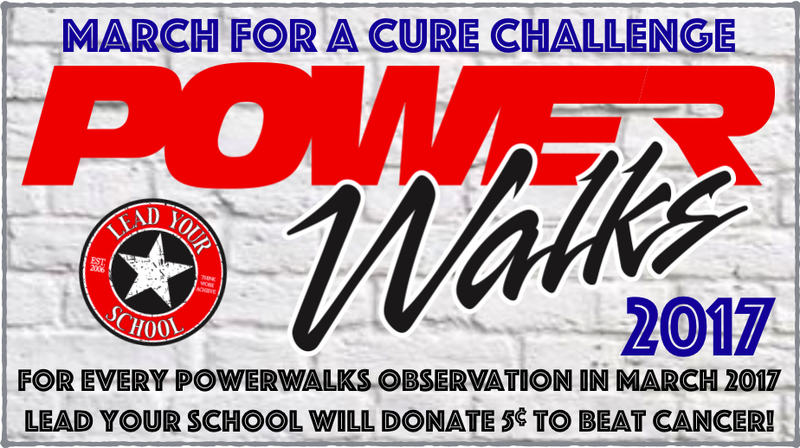 Every PowerWalks observer who conducts 200 or more classroom observations this month gets a March For A Cure T-shirt. I march for Gerald Burnett, Margaret Nold, and Phyllis Nold. Who do you march for? 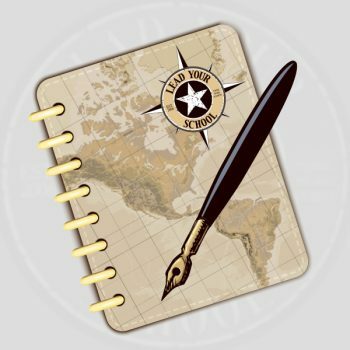 A Principal’s Field Report… It’s Happening!! !